Back in the 1970s, legal writings in Brazil started supporting class actions as a form of dispute resolution since social conflicts could no longer be handled and settled via individual lawsuits. Drawing on US experience, Brazilian lawmakers issued specific statutes aimed at creating efficient mechanisms to protect ‘trans-individual rights’ through class actions. Albeit inspired by the US model, the Brazilian class actions system differs greatly from that in place in the United States. In 1985, Law 7,347 created a true subsystem for class actions in civil procedure to protect diffuse and collective rights. Later, the 1988 Federal Constitution introduced significant innovations, expressly assuring the protection of diffuse and collective rights and interests as a constitutional warranty. Then, the Brazilian Consumer Protection Code of 1990 brought important contributions to the class actions system, such as the definition of trans-individual rights. The Consumer Protection Code also provided for the use of class actions to protect homogeneous individual rights, another landmark initiative geared toward representing consumers collectively and expediting resolution for recurrent lawsuits involving common interests of a class. After over 30 years of experience with the use of class actions in Brazil, the general belief is that class actions have since contributed significantly to the resolution of collective disputes in Brazil, and Brazilian law undoubtedly sets a pattern for all civil law countries wishing to legislate on and regulate the use of class actions. In Brazil, 2017 was marked by: (1) an important judgment from the Federal Supreme Court on the standing of associations to bring class actions; (2) a settlement agreement on some of the largest class actions in Brazil; and (3) the rollout of incidental proceedings for resolution of same subject-matter lawsuits as the New Civil Procedure Code (Law 13,105 of 2015) came into force. Making reference to case law review related to the standing of associations to bring class actions in representation of their members, the Federal Supreme Court decided on 10 May 2017 that ‘the subjective efficacy of res judicata from an ordinary class action brought by a civil association in defence of the interests of its members only reaches those members residing within the jurisdiction of the adjudicating body on or before the filing date and listed on the complaint’.3 We will further elaborate on this decision, but this is still a bone of contention, and subsequent judgments – especially from the Superior Court of Justice – are expected to shed light on the extent of this Federal Supreme Court finding and whether its dictates are mandatory for all types of class actions. On the second point, it is worth noting that multiple class actions were brought by holders of savings accounts between 1987 and 1991 for redress of losses from economic plans implemented by the Brazilian government in an attempt to fight hyperinflation during that period. After decades of debates, a settlement agreement was signed by several banks, consumer defence associations and the Public Prosecutor’s Office (with the participation of the Brazilian Central Bank). On the third point, the incidental proceeding for resolution of same subject matter lawsuits introduced by the New Civil Procedure Code (Law 13,105 of 2015) aims to (1) expedite the administration of justice and access to court relief; (2) reduce the caseload; and (3) generate uniformity in court decisions. In general terms, the New Civil Procedure Code establishes that an incidental proceeding for resolution of same subject matter lawsuits can be brought when there is an actual repetition of cases involving the same matters in controversy (matters of law only) and a risk of offence to equitable treatment and legal certainty. As a rule, all lawsuits (including class actions) are put in abeyance until this proceeding is adjudicated upon, and all subsequent judgments must follow the decision on the incidental proceeding for resolution of same subject matter lawsuits. In 2017, the Brazilian Justice Council5 reported approximately 100 incidental proceedings for resolution of same subject matter lawsuits involving consumer law, tort, civil procedure and other subjects. This new proceeding has been praised as a part of the Brazilian court precedents system based upon binding precedents, and intends to unclog Brazilian courts. Nevertheless, the Brazilian court precedents system is not meant to grant court relief directly to claimants, but rather to define legal principles to be followed in all individual and class actions. Consequently, it is possible to say that the class actions system and the Brazilian court precedents system are complementary. Class actions remain as an important tool to address threats or injuries to rights and interests that would not qualify for protection via traditional individual actions. We will focus below on class actions. In Brazil, as a rule, class actions can be brought to deal with matters relating to the environment, consumer relations, assets and rights carrying artistic, aesthetic, historical, tourism and landscape value, and should centre on the protection of diffuse, collective or homogeneous individual rights. Article 81, I of the Consumer Protection Code defines diffuse rights as ‘indivisible trans-individual rights held by unidentifiable persons linked by factual circumstances’. Article 81, II of the Consumer Protection Code defines collective rights as ‘indivisible trans-individual rights held by a group, category or class of persons linked to each other or to the opposing party through a basic legal relationship’. Article 81, III, sole paragraph of the Consumer Protection Code defines homogeneous individual rights as ‘those with a common origin.’ Legal scholars have it that homogeneous individual rights are collective only incidentally because, in principle, their protection could be pursued individually by each holder, as it happens with the traditional system for protection of subjective rights. The approach to collective protection of individual rights, however, was incorporated into Brazilian law to resolve identical conflicts in one single proceeding, thus avoiding multiple individual actions. According to Article 83 of the Consumer Protection Code, all kinds of actions can be brought for adequate and effective protection of diffuse, collective or homogeneous individual rights, that is, prohibitory actions, actions seeking affirmative and negative covenants, indemnification actions, declaratory actions, actions seeking urgent relief, among others. Hence, class actions may result in condemnatory, declaratory, constitutive, self-enforceable and commanding judgments. For illustrative purposes, class actions may be brought to seek compensation for damage caused to consumers on account of a defective product, or to compel a certain polluter to bear expenses for the clean-up of illegally polluted soil. 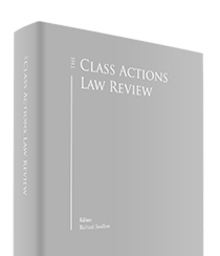 There are no objective and specific limits on the scope of class actions and of the particular claims, and the class that potentially benefits is defined based on the claims asserted by the plaintiff in the class action. 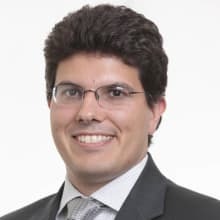 With regard to the standing to file class actions, unlike what is found in US law, Brazilian lawmakers opted for expressly indicating who are the parties with standing to file a class action. Under Law 7,347 of 1985 (Article 5) and the Consumer Protection Code (Article 82), the parties with standing to bring a class action to defend the rights of citizens in court are: (1) the Public Prosecutor’s Office; (2) the Public Defender’s Office; (3) the federal government, states, municipalities and federal district; (4) the entities and bodies of the direct or indirect public administration, even if with no separate legal identity, when specifically intended to defend diffuse and collective interests and rights; and (5) associations legally organised for at least one year, and whose institutional purposes include the defence of diffuse, collective and/or homogeneous individual rights. Further, the Public Prosecutor’s Office must also intervene in class actions as an overseer of the law (when it is not a plaintiff in the class action). The Brazilian legislation has not established mandatory binding effects in a class action (the opt-out system). The rule is that if the class action is judged groundless, it does not prevent citizens from filing indemnification claims, but if the class action is judged to have grounds, the sentence benefits the victims and their successors, who may proceed with individual enforcement of the sentence. As for the standing to file class actions, the most relevant matter up for debate in court in 2017 pertained to the standing of associations to file class actions. Past rulings of the Superior Court of Justice signalled that associations and trade unions had standing to act as substitute parties in class actions, regardless of express authorisation from those being substituted and of submission of a nominal list of their members. It so happens that the matter was taken to the Full Bench of the Federal Supreme Court which, acknowledging the leading case status of this issue, held in Extraordinary Appeal 573.232/SC that the activity of associations in defending the interests of their members can take shape by representation only, not as substitute parties in the proceedings. It was thus declared that express authorisation should be obtained, whether individually or by a meeting resolution, for an association to file class actions. After such finding by the Federal Supreme Court, other Brazilian courts7 sided with this opinion that an association could only bring a class action defending its members by way of representation in the proceedings (Article 5, XXI of the Federal Constitution) under prior express authorisation (either through an individual act or through a resolution made at a meeting, which measure is not satisfied merely via a generic statutory authorisation). As mentioned above, in 2017, a new decision rendered by the Full Bench of the Federal Supreme Court held that ‘the subjective efficacy of res judicata from an ordinary class action brought by a civil association in defence of the interests of its members only reaches those members residing within the jurisdiction of the adjudicating body on or before the filing date and listed on the complaint’.8 This judgment has triggered discussions on whether the interpretation of Article 5, V of Law 7,347 of 1985 and Article 82, IV of the Consumer Protection Code would lead to the conclusion that the general statutory provision is not enough to legitimise the standing of associations in defence of the rights of their members, it being thus indispensable to obtain the prior express authorisation of such members. A class action starts with a complaint that must be addressed to a court with jurisdiction, and must accurately identify the parties, the facts and their legal grounds, as well as the pleadings with all specifications, the amount in controversy, and the evidence by which the plaintiff intends to prove the truthfulness of alleged facts. Before analysing the merits of the case, the judge must scrutinise whether all conditions for valid existence of the class action have been satisfied, such as the standing to sue and to be sued, the procedural interest, and the legal possibility of the pleading. These conditions may be recognised by the judge on his own initiative, or challenged by the defendant as preliminary arguments in the defence. After process is served upon the defendant, he or she will present an answer containing all possible arguments of defence, which will occasionally be followed by a reply and then a defendant’s rejoinder. The judge then renders a decision on the preliminary arguments so as to establish the matters in controversy and to specify the evidence to be produced in the case. The evidentiary phase (discovery) starts after the conciliation hearing. The parties may prove their allegations through all means admissible into evidence by operation of law. Basically, evidence can be composed of supporting documents, oral testimony, or expert investigation. The parties may put forth any type of document to prove the alleged facts. Ordinarily, the parties must introduce documentary evidence in the complaint and in the statement of defence, but further documents may also be put forward at a later stage in support of unforeseen facts or to refute evidence presented by the opposing party. Examples of oral evidence are the plaintiff’s deposition and the hearing of witnesses. Brazil adopts the inquisitorial system of proceeding. Oral evidence is collected at specific hearings in which the judge and the counsels for the parties may ask questions to the plaintiff or to the witnesses enrolled. Expert evidence is made when specific forensic knowledge (e.g., in the accounting, medical or engineering area) is required. To obtain expert evidence, the judge appoints an expert of his or her trust, and the parties may also designate experts to assist in expert works. The parties submit questions that will be answered by the court-appointed expert, who eventually issues an expert opinion. There is no jury and the judge will make a decision granting or denying the class action. Under Law 7,347 of 1985, this decision has immediate effects, and appeals usually cannot stay the applicability of such decision until a future favourable judgment by the Court of Appeals. Appeals, if any, are heard by a three-judge panel of the Court of Appeals. The appellate ruling can generally be challenged via an extraordinary appeal to the Federal Supreme Court and a special appeal to the Superior Court of Justice; such appeals, however, cannot revisit issues of fact and evidence. As a class action can be filed to safeguard diffuse, collective or trans-individual rights, the Consumer Protection Code sets how res judicata applies to each of these scenarios. For diffuse rights, the court ruling on a class action will ensure res judicata ‘erga omnes, unless the claim is dismissed for lack of evidence, in which case any legitimate party may file another lawsuit with identical grounds and based on new evidence’ (Article 103, I). For collective rights, the court ruling on a class action will ensure res judicata ‘ultra partes, but limited to the group, category or class, except the claim is dismissed for lack of evidence’ (Article 103, II). For trans-individual interests, the court ruling on a class action will ensure res judicata ‘erga omnes, only if the claim is granted to benefit all victims and their successors’ (Article 103, III). Also, ‘if the claim is dismissed, the interested parties that did not intervene in the case as co-plaintiffs may file an individual suit for damages’ (Article 103, paragraph 2). However, further class actions would be barred given the res judicata. 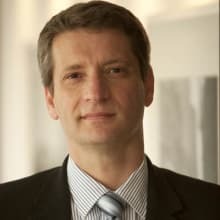 As for damages awarded on behalf of citizens in a class action, a class action in Brazil generally seeks to have the courts recognise a legitimate right and establish the an debeatur (what is due), so that the quantum debeatur (how much is due) may then be ascertained for each citizen. As a rule, each aggrieved citizen must sue for calculation and enforcement of the award. This new individual proceeding would be subject to presentation of evidence and answer by the defendant, but the answer would be limited to discussing the quantum debeatur. Nonetheless, one of the legitimate entities may file a class action suit for calculation and enforcement of an award as well. This possible enforcement by extraordinary legitimate entities was introduced in the Brazilian legal system to prevent the supplier or vendor from escaping the payment of damages out of the injury caused by it, if citizens do not show interest in seeking recovery on an individual level. If citizens are not interested in seeking individual redress of the damage caused, the recovery sum is to accrue to a diffuse rights defence fund. Under the Consumer Protection Code, the legitimate entities can only plead fluid recovery after ‘one year has elapsed without identification of interested parties in a number compatible with the seriousness of the damage’ (Article 100). In Brazil, unlike what is found in US law, there is no systematic regulation of settlements in class actions involving diffuse, collective or homogeneous individual rights. There are only sparse provisions in Article 5, Paragraph 6 of Law 7,347 of 1985 and in Article 107 of the Consumer Protection Code, but these provisions are clearly not enough, which ends up hindering the effective settlements involving class actions. Article 5, Paragraph 6 of Law 7,347 of 1985 establishes the ‘terms of agreement’ by which ‘the public bodies with standing to sue may demand from the legitimate parties to execute terms of agreement by which these will abide by legal requirements or else face penalties; such document is valid and enforceable as an extrajudicial enforcement instrument.’ Terms of agreement are defined as an alternative dispute resolution method that is meant to avoid or put an end to the lawsuit by means of execution of an agreement between a private party and one of the public bodies with standing to file a class action. However, a significant portion of legal writings states that the terms of agreement and the consumer collective agreement do not operate as true forms of settlement since there is purportedly no actual disposal of rights under those instruments. Generally speaking, in the terms of agreement and in the consumer collective agreement, the representatives of a given class are not the holders of the substantive right being protected, and are thus unable to ‘perform any act that directly or indirectly entails the disposal of those substantive rights involved, as the latter do not belong to them.’9 Hence, according to such majority stand emerging from legal writings and court rulings, such settlements could only be reached with regard to the form, time, place and conditions for fulfilment of an obligation or redress – without ever entailing a disposal or waiver of substantive rights, though. In Brazil, the terms of agreement and consumer collective agreements may be executed out of court, but these may also be taken to court recognition – especially when a class action has already been brought. In Brazil, the judge’s roles in recognising a settlement in class actions differ greatly from those of a US judge. As a rule, the Brazilian judge does not analyse the merits of a settlement or whether the interests of the class have been properly satisfied on the agreement. The judge only checks the formal aspects of a settlement, such as the parties’ standing, no undue disposal of a right, the parties’ status in the proceedings, among others. Settlements in class actions follow the opt-in system and are not automatically binding upon all interested parties, which may file individual lawsuits regardless of the agreement (unless they have expressly opted in). Also, most legal writings and court rulings hold that the execution of a settlement is not binding on the other legitimate parties that could file other class actions to discuss the same collective dispute covered by the agreement. Class actions are usually filed in Brazil to obtain redress on behalf of Brazilian citizens – but, in theory, they could also include foreign claimants. Nevertheless, unlike what happens in other jurisdictions, Brazilian law does not offer particularly favourable options for foreign claimants, and cross-border class actions are possible – but extremely rare in practice. Much to the contrary, in some cases, foreign claimants are even required to post bond when bringing suit in Brazil. Further, Brazilian courts only have jurisdiction in Brazil and, as a rule, a foreign class action brought before a foreign court does not result in lis pendens nor does it prevent a Brazilian judicial authority from entertaining and adjudicating upon the same case (and connected cases). On the other hand, to become enforceable in Brazil, a foreign judgment on a class action must be: (1) final and binding, with res judicata effects according to Article 15 of Decree-Law 4,657 of 1942 and to Article 5, III of Resolution 9 of 2009 of the Superior Court of Justice; and (2) recognised by the Superior Court of Justice as per Article 961 of the Brazilian Civil Procedure Code. These rules apply on general terms, and Brazil can sign international treaties with other countries establishing different procedures for enforcement of decisions. For instance, Brazil has an international treaty on judicial cooperation with Mercosur countries (Argentina, Venezuela, Uruguay and Paraguay), by which a decision is valid in Brazil if it has become res judicata or is otherwise enforceable in the country of origin. Class actions in Brazil are an important instrument for resolution of collective trans-individual conflicts, which are typical of the current mass society. Brazil has over 30 years’ experience in class actions and a well-defined system that serves as a veritable reference for civil law countries that are willing to put in place a legal framework for class actions. Class actions are largely used in Brazil mainly to handle matters related to consumer relations, product liability and environmental law. However, as noted above, class actions in Brazil are undergoing a crisis of effectiveness, which is mostly due to misinterpretation of this very institute based on the ordinary rules of the Brazilian civil procedure (which is strongly marked by an individualistic culture). The New Civil Procedure Code seeks to challenge this matter by instituting the Brazilian court precedents system, and it is hoped that collective trans-individual conflicts will be better treated in Brazil by concurrently applying this system to class actions. 1 Sérgio Pinheiro Marçal is a partner and Lucas Pinto Simão is a senior associate at Pinheiro Neto Advogados. 2 Nery Junior, Nelson. Código Brasileiro de Defesa do Consumidor comentado pelos autores do anteprojeto. Processo Coletivo. Volume II. 10th Edition. Rio de Janeiro. Editora Forense. 2011, p. 221. 3 Extraordinary Appeal 612043/PR, Reporting Justice Marco Aurélio, judgment of 10 May 2017, Federal Supreme Court. 6 Gidi, Antonio. Coisa julgada e litispendência em ações coletivas. São Paulo: Saraiva, 1995. pp. 37/38. 7 Special Appeal No. 1481089/SP; Bill of Review in Special Appeal No. 494160/DF; Bill of Review in Special Appeal No. 1331592/RJ; Special Appeal No. 1185823/GO, among other judgments from the Superior Court of Justice. 8 Extraordinary Appeal 612043/PR, Reporting Justice Marco Aurélio, judgment of 10 May 2017, Federal Supreme Court. 9 Zavascki, Teori Albino. Processo coletivo – tutela de direitos coletivos e tutela coletiva de direitos, 4th ed. São Paulo, Ed. Revista dos Tribunais, 2009, p. 139. The Dispute Resolution Review provides an indispensable overview of the civil court systems of 37 jurisdictions. It offers a guide to those who are faced with disputes that frequently cross international boundaries. As is often the way in law, difficult and complex problems can be solved in a number of ways, and this edition demonstrates that there are many different ways to organise and operate a legal system successfully. At the same time, common problems often submit to common solutions, and the curious practitioner is likely to discover that many of the solutions adopted abroad are not so different to those closer to home. The objective of this book is to provide tax professionals involved in disputes with revenue authorities in multiple jurisdictions with an outline of the principal issues arising in those jurisdictions. In this, the seventh edition, we have continued to add to the key jurisdictions where disputes are likely to occur for multinational businesses. Each chapter provides an overview of the procedural rules that govern tax appeals and highlights the pitfalls of which taxpayers need to be most aware. The past year has confirmed the usefulness of The Investment Treaty Arbitration Review’s contribution to its field. The biggest challenge for practitioners and clients over the past year has been to keep up with the flow of new developments and jurisprudence in the field. There was a significant increase in the number of investment treaty arbitrations registered in the first years of this decade. These cases have come or are now coming to their conclusions. This first edition of The Insurance Disputes Law Review provides excellent and succinct overviews of recent developments in insurance disputes across 16 important insurance jurisdictions. In order to be as user-friendly as possible, each chapter follows the same format – first providing an overview of the key framework for dealing with disputes, and then giving an update of recent developments in disputes. This first edition is published at a time when the world grows ever smaller and commercial relationships are the common currency that links countries and cultures across the globe. Whether you are a corporate counsel, a business executive, a private practitioner or a government official, and whether you are facing litigation or arbitration of a commercial dispute, negotiating a contract with an eye towards minimising litigation risk, or simply interested in learning more about this important area of law as related by a seasoned and savvy practitioner, we hope you will find this volume informative, instructive and enjoyable. International arbitration is a fast-moving express train, with new awards and court decisions of significance somewhere in the world rushing past every week. Legislatures, too, constantly tinker with or entirely revamp arbitration statutes in one jurisdiction or another.